It's been a little while since I've spent a lovely evening in a cute little restaurant right by the lake, called Fischers Fritz in Zurich Enge. 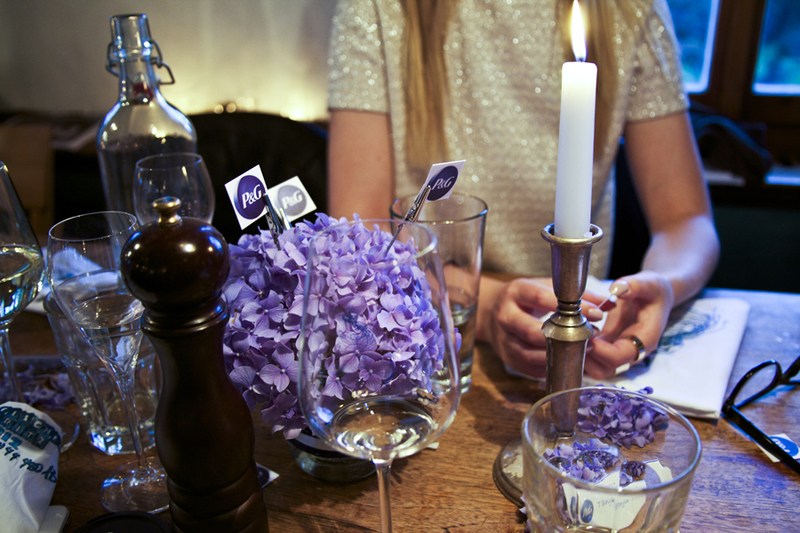 The Occasion for this interesting dinner with some bloggers and the charming ladies of P&G was to learn more about the upcoming products. There will be a lot of nice beauty and styling products coming soon. From brands like Pantene Pro - V, Head & Shoulders, Oral-B, Venus, Braun and Gillette.So stay tuned! It was a wonderful evening, a big thanks to P&G! I've worn my Dragon Tattoo Collection Leather Jacket from the from H&M, Nike Vortex Vintage Shoes, Knit Shirt with cut outs H&M.